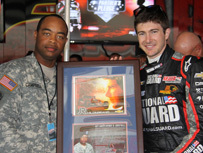 LEXINGTON, Ohio - (August 2, 2013) – National Guard Panther Racing driver Oriol Servia finished 17th overall during IndyCar Series practice Friday at the Mid-Ohio Sports Car Course. The Spaniard drove his “Pink Camo” National Guard Chevrolet for a total of 35 laps on the 12-turn, 2.25-mile road course that will host this Sunday’s 90-lap event. Servia posted a top time of 1:06.1330 seconds, which was an average lap speed of 122.916 mph. 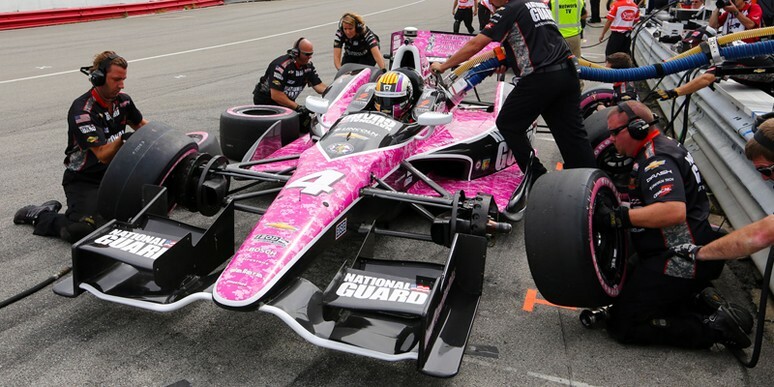 The team is running its “Pink Camo” livery again this year in honor of female soldiers in the National Guard. There is another practice session tomorrow morning before the Firestone Fast Six qualifications in the afternoon.